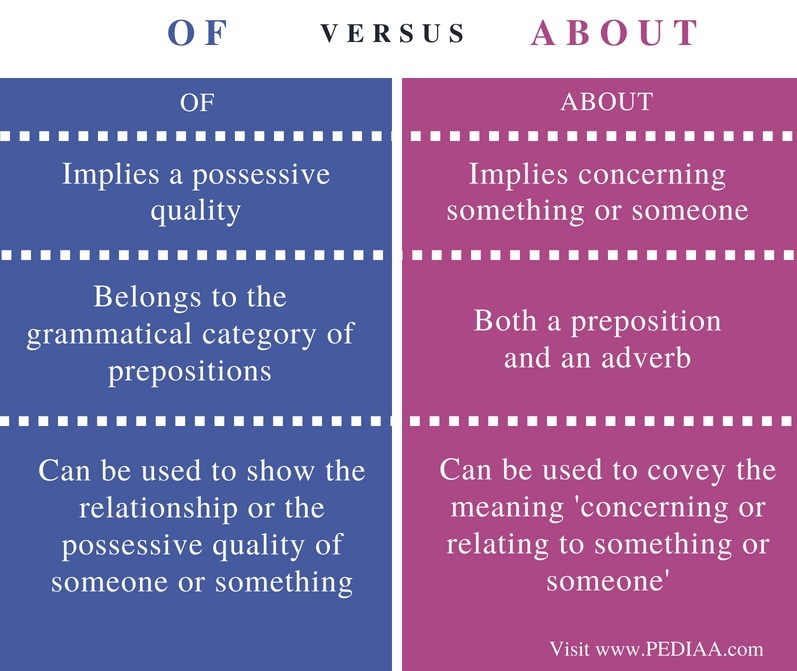 The main difference between of and about is that the preposition of implies a possessive quality while the preposition about implies concerning or on the subject of something. The two prepositions of and about are among the top misused terms in English. They overlap in many instances, yet it is necessary to know they have different meaning pertaining to their usage. This is the new textile shop of my sister. The organizing committee of the event decided to change the agenda this time. 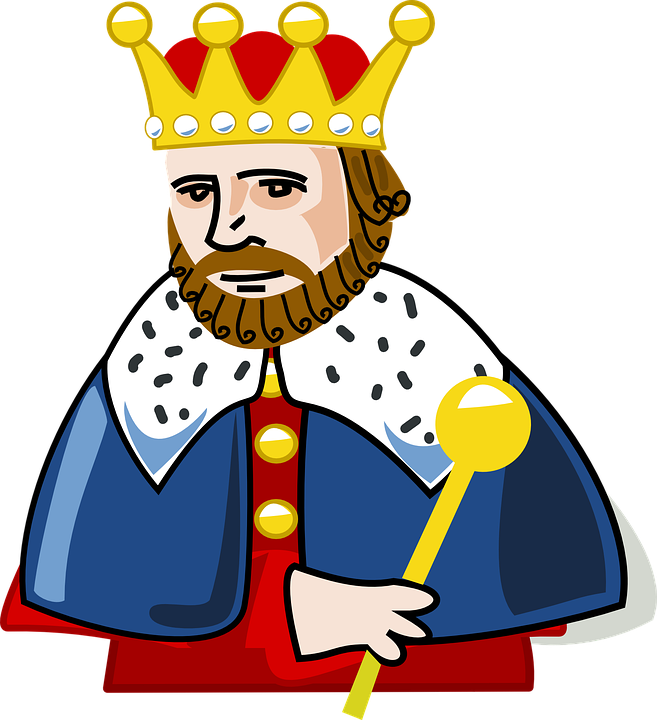 Figure 1: He was the king of England during that period. She kept this piece of cake especially for you. Unlike most of his gang, he wasn’t interested in flirting with girls. I bought a bottle of champagne to celebrate your achievement. I have heard vicious rumours about him. This is the film about the French Revolution I told you about. He was always boasting about his job. This newly added chapter is about the history of Europe and its influence on the neighbouring countries. Moreover, about can also be used to describe a quality apparent in a person. I would say the house has a gothic quality about it. The new model has a unique grace about her movement. Apart from being a preposition, about also acts as an adverb where it implies the meaning of ‘approximate number of something’. I think it will cost about 50 dollars. Do you think she is about 25 years of age? The preposition Of implies a possessive quality while the preposition about implies concerning something or someone. Of belongs to the grammatical category of prepositions while about is both a preposition and an adverb. 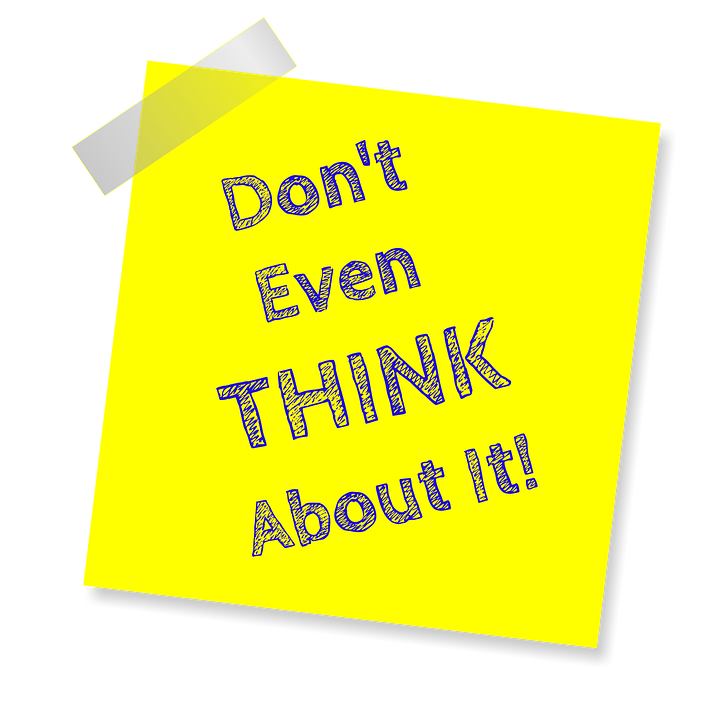 Similarly, we can use of to show the relationship or the possessive quality of someone or something while about can be used to covey the meaning of concerning or relating to something or someone. Even though the two prepositions of and about seems very similar in their meaning, they share different meaning as rules with regard to their proper usage. The main difference between of and about is that of implies a possessive quality while about implies concerning or on the subject of something. Therefore, it is essential to know these diverging details they share.